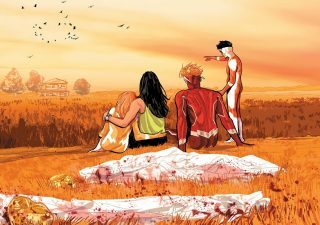 The scope narrows in this week’s Justice League #17, as Scott Snyder and team deliver a softer, character-driven issue. 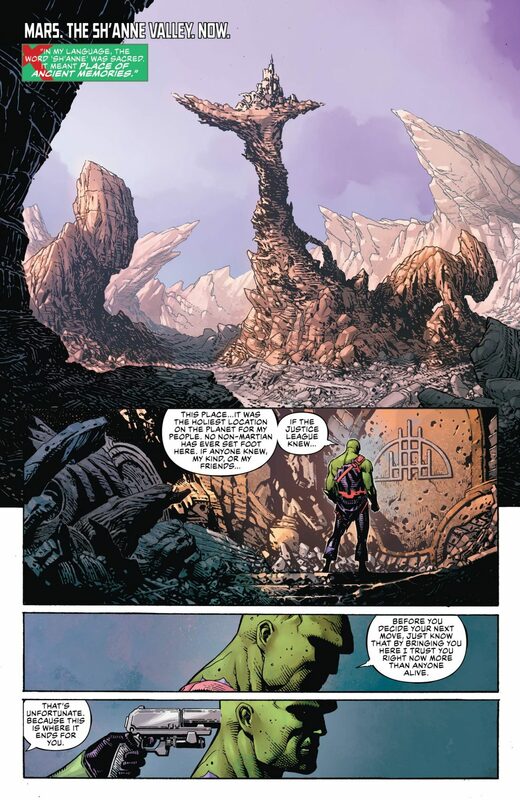 Set in the Sh’anne Valley on the desolate planet Mars, Justice League #17 is a transition issue that focuses only on two characters: Martian Manhunter and Lex Luthor. 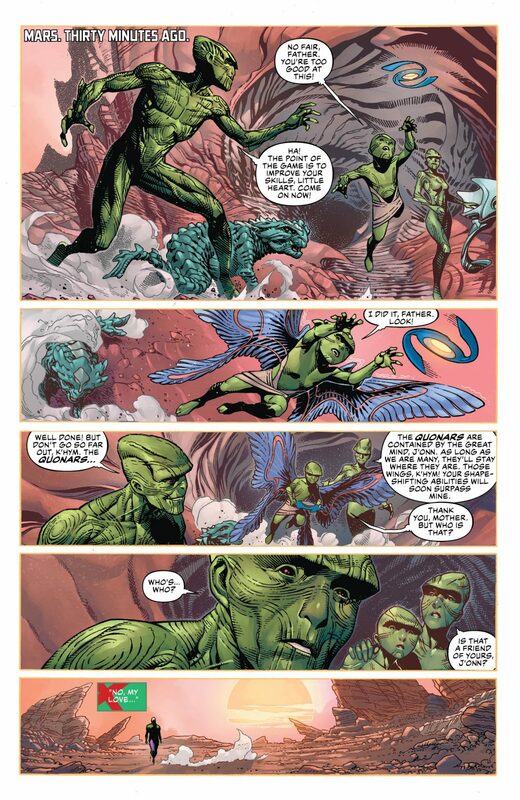 J’onn has asked Luthor to meet him there in order to help hunt down a member of the mysterious Legionnaires Club, a group of scientists who were attempting to recreate Perpetua’s army. 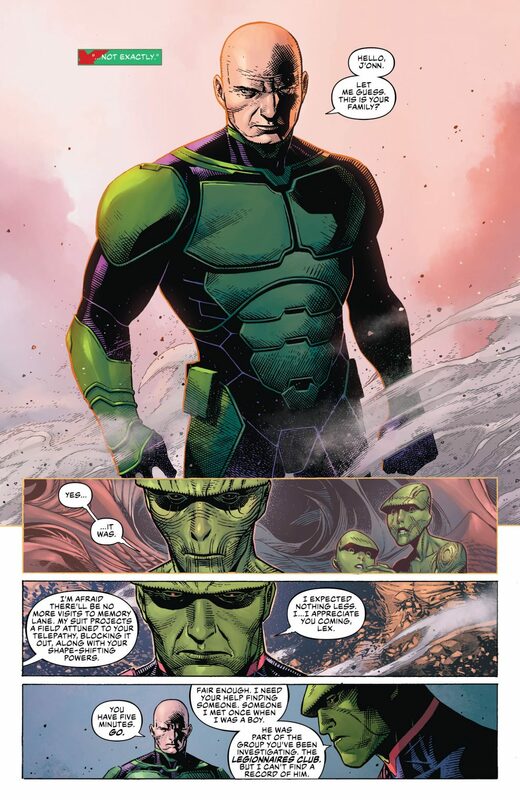 While on Thanagar, J’onzz learned that the Legionnaires Club had abducted him as a child in order to harvest his DNA – a story that had been erased from his memory. Their goal was to splice it with human genetic material, in order to recreate Perpetua’s army. 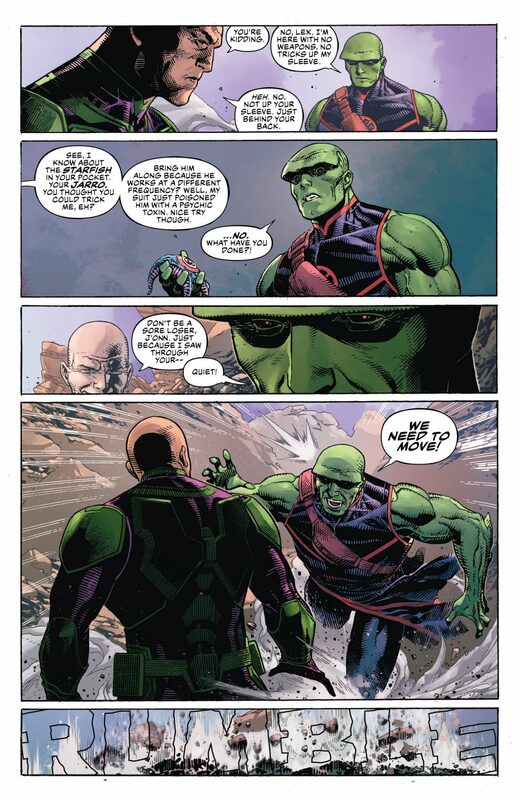 During the course of the issue, J’onn reveals Luthor’s connection to the Club. 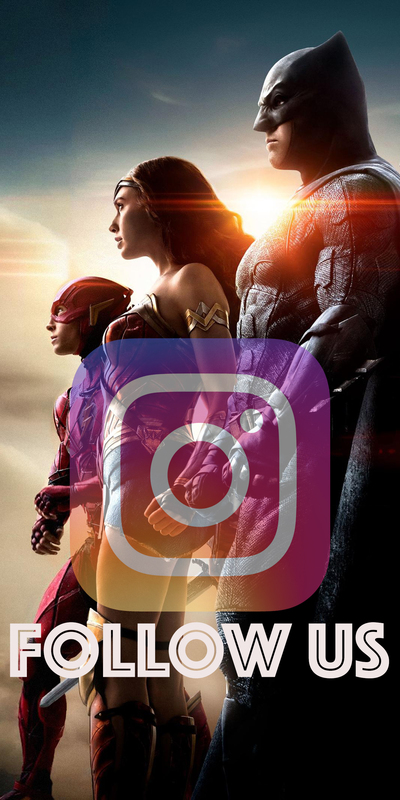 For the past few issues of Justice League, Snyder has only been credited as co-writer for the story. 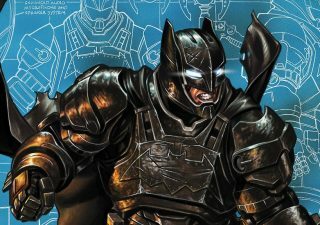 James Tynion IV has been writing the actual scripts. 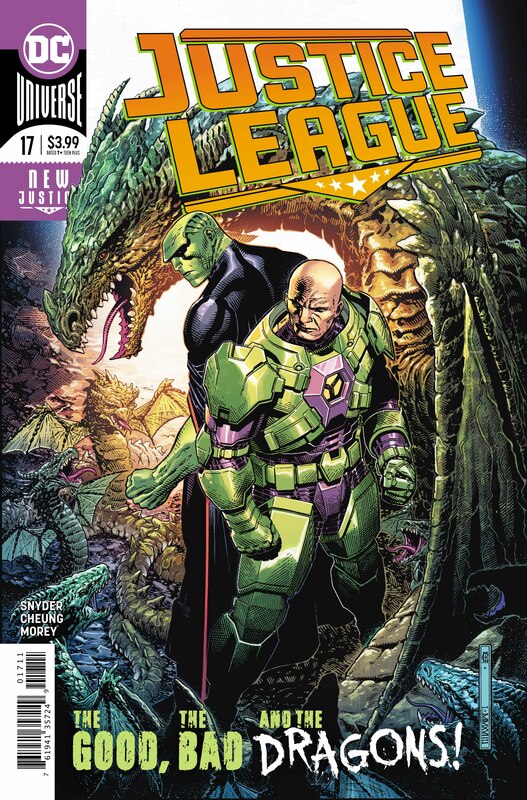 Snyder returns as the sole writer for Justice League #17, and he does a terrific job. 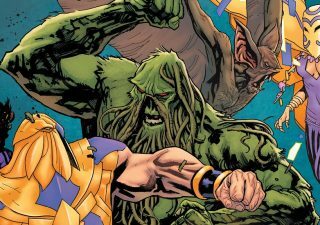 While last week’s Justice League Annual #1 a massive Multiverse story, this issue is focused. Here Snyder isn’t juggling multiple storylines. 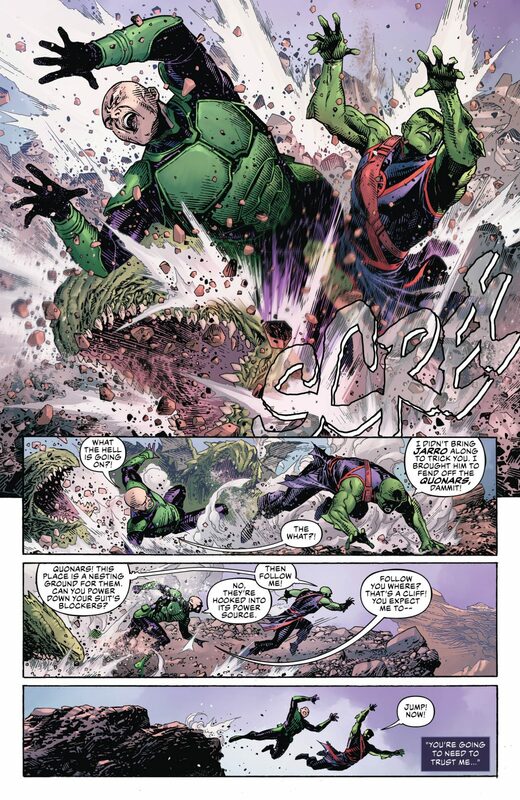 Rather, he hunkers down on the Martian Manhunter and his connection with Luthor. 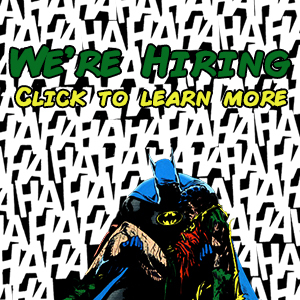 This is where Justice League #17 shines: in its specificity. 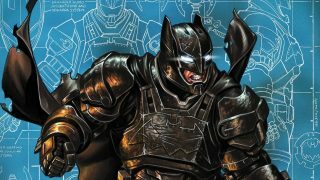 Snyder’s strength as a storyteller is on display in this issue, as Justice League #17 is technically brilliant in its construction. The issue isn’t linear and leads with a scene where Luthor is holding J’onn at gunpoint. 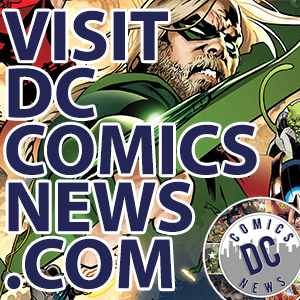 The rest of the issue is told through a series of flashbacks, leading to a major ret-con of Luthor’s origin. Therefore, what drives the narrative of this issue isn’t bombast but rather intrigue and revelation. Imagine Dragons… Hurtling Through The Void! Jim Cheung’s pencils are superb in this issue. Unique to DC’s house style, his thick, detailed lines bring a distinct look to the book. His work is kinetic at the appropriate moments and subtle at others. In short, it’s stunning. Not to mention that he draws some amazing dragons. Apparently, Martians once upon a time tamed a race of psychic rock dragons called Quonars. 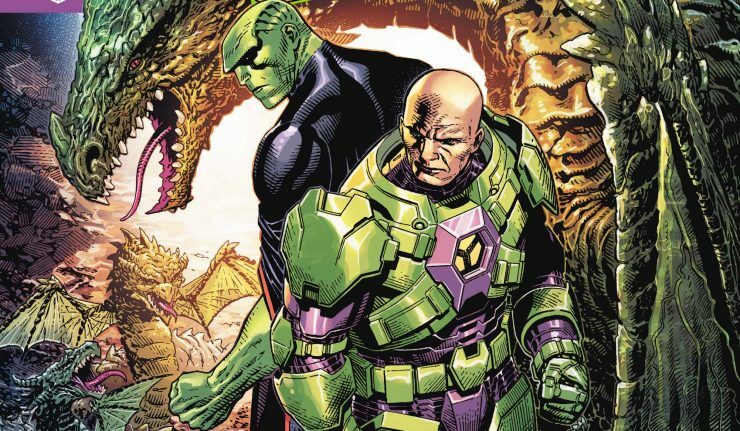 While these creatures serve the plot of the issue, I can’t help but think that they were a simple excuse for Cheung to draw Luthor and J’onn riding on the back of a dragon that’s hurtling through a space portal. 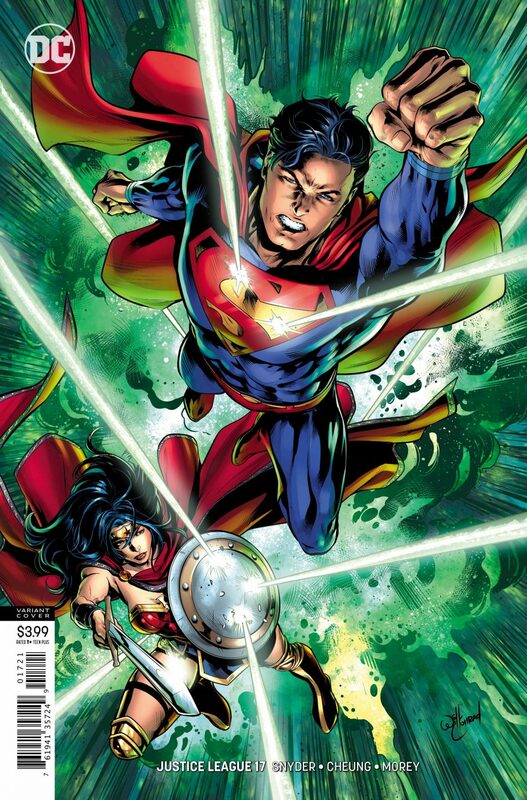 For all the quiet character building that occurs in this issue, when Snyder did decide that the script called for some spectacle, Cheung was up to the task. This issue gives us a nice break from the Multiversal madness. It’s a breather issue that’s not only quite but also serves the larger story in a very specific way: it makes the larger narrative human. Well – as human as you can get when you’re dealing with Martians. 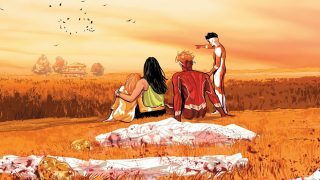 Undoubtedly, the revelations of Justice League #17 will be addressed at a later point in the series. It seems important, especially for Luthor. Overall, the book is great. Check it out.